It's lucky I ended up reading this while my husband was on night shifts, as once I started, I couldn't put it down and stayed up late two nights in a row to finish it. A Kiss From Mr Fitzgerald captivated me from page one. Evie is a character who is immediately approachable and engaging. Right from the start, I felt I knew her and wanted her to succeed. There were some good twists along the way. A couple of times, I thought I knew what was going to happen, but then something changed, taking the story in a new direction. The characters were charming, the scene setting was perfect, the prose was a delight to read, and the story was interesting, well paced, and original. 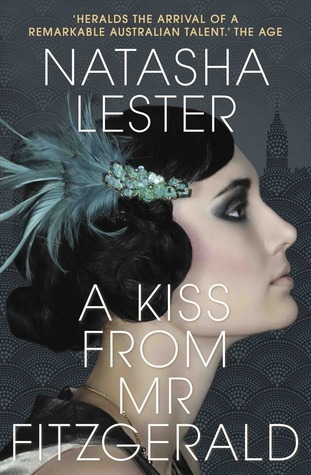 I would definitely look out for future works from Natasha Lester, as A Kiss From Mr Fitzgerald is a standout book of 2016.